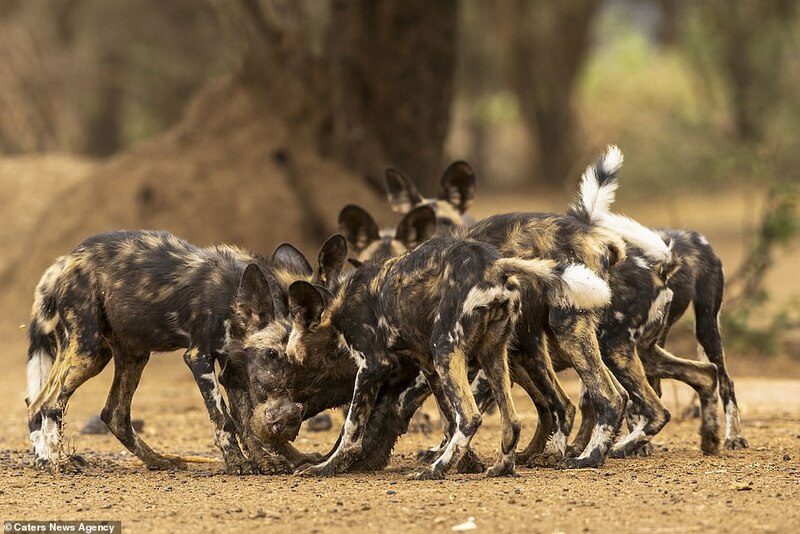 Rarely-captured scenes show a pack of painted wolves – the same African wild dogs set to be featured on David Attenborough’s Dynasties this weekend – hunting baboons, for the first time. 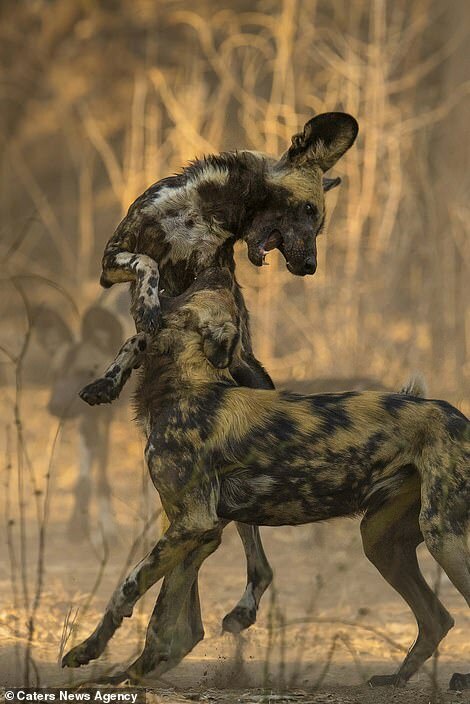 The photographs show how the animals, Africa’s most efficient predator, have changed their diet and begun to hunt the primates – something never witnessed by experts. 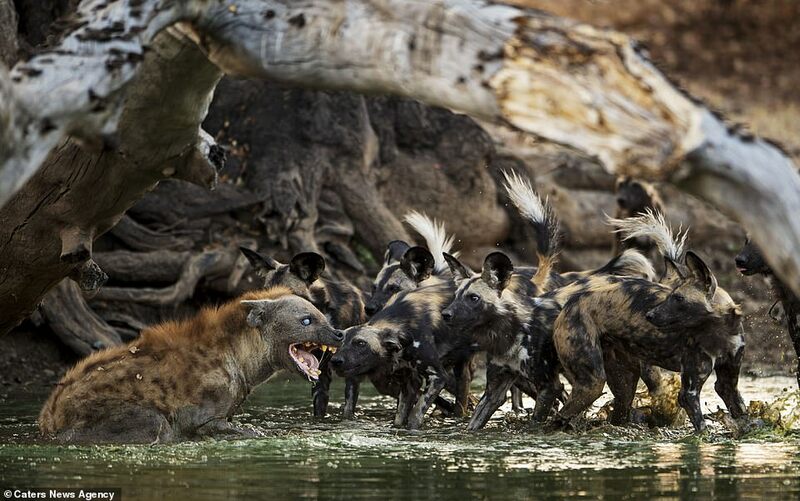 Wildlife photographer Nicholas Dyer took the pictures in the remote Mana Pools of Zimbabwe, where he has been following the animals on foot for the last six years. 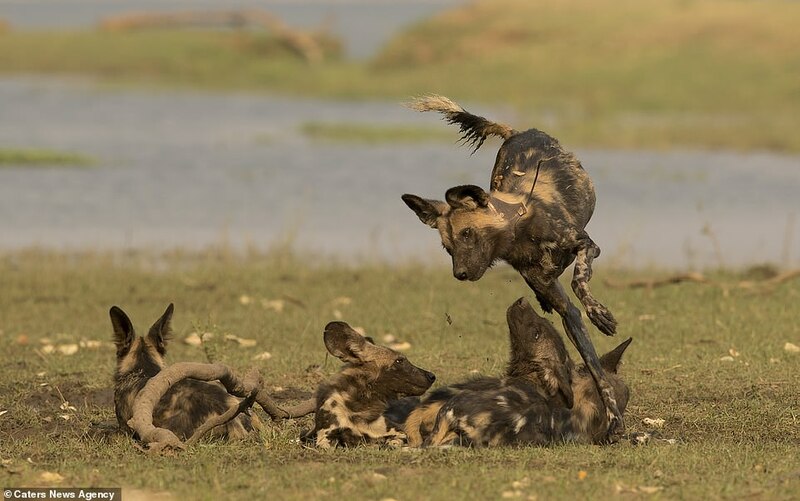 His images show two packs hunting baboons on the banks of the Zambezi river, reaching speeds of 44mph to bring down their prey. 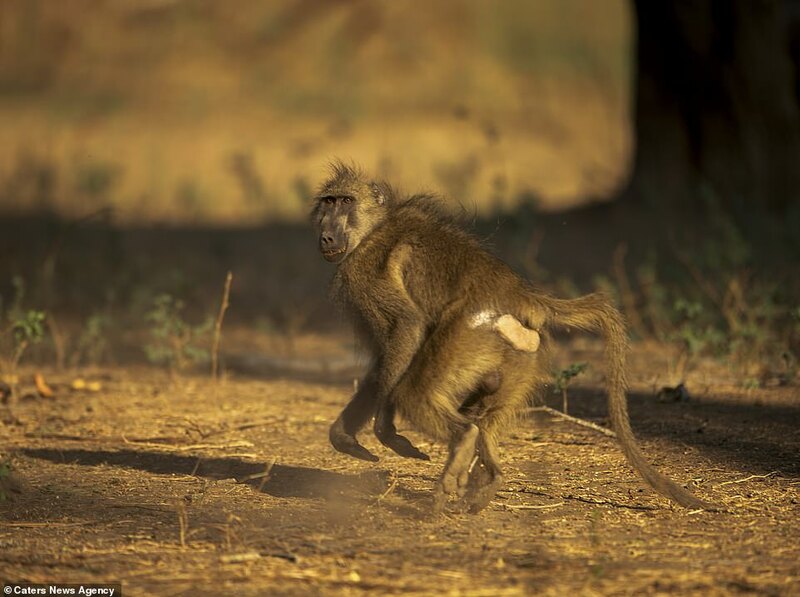 Nicholas, 55, who was born and raised in Kenya, commenting on the pictures said: ‘The first time I saw them hunt baboons I found it hard to believe. 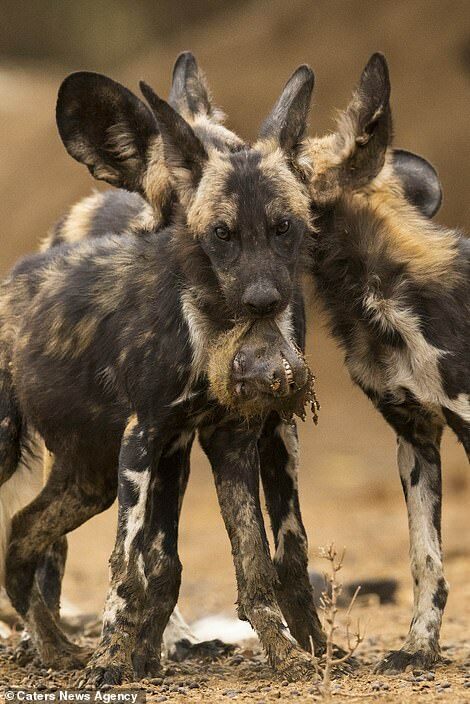 ‘Normally they only hunt antelopes, like impala and kudu. 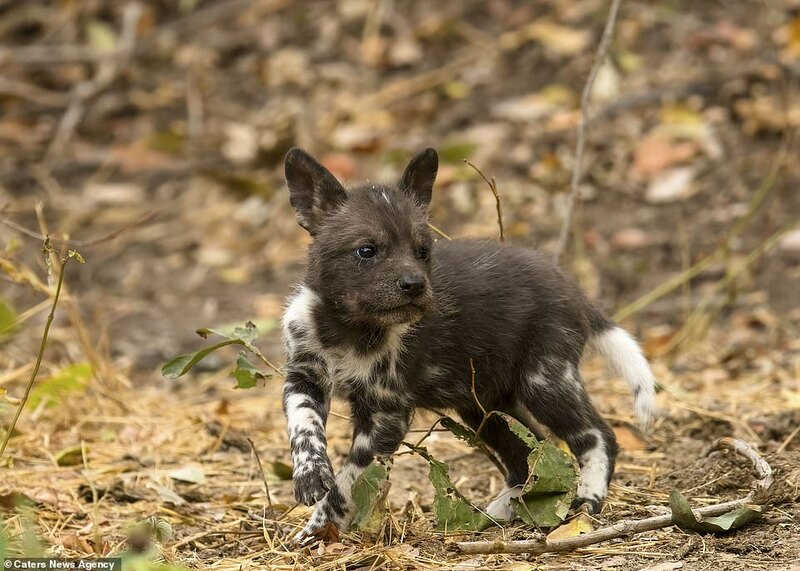 Viewers will get a chance to see more of the unusual behaviour in the latest episode of BBC’s Dynasties, narrated by David Attenborough, which airs this Sunday. 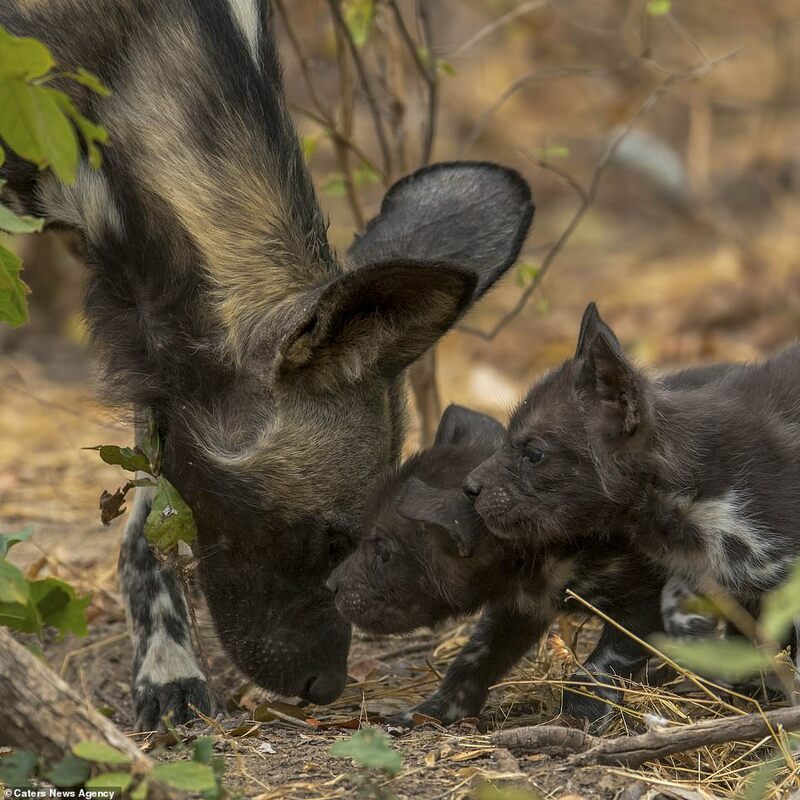 He added: ‘One of my photographs shows two of Blacktip’s puppies playing with the head of a baboon just a few metres in front of me. 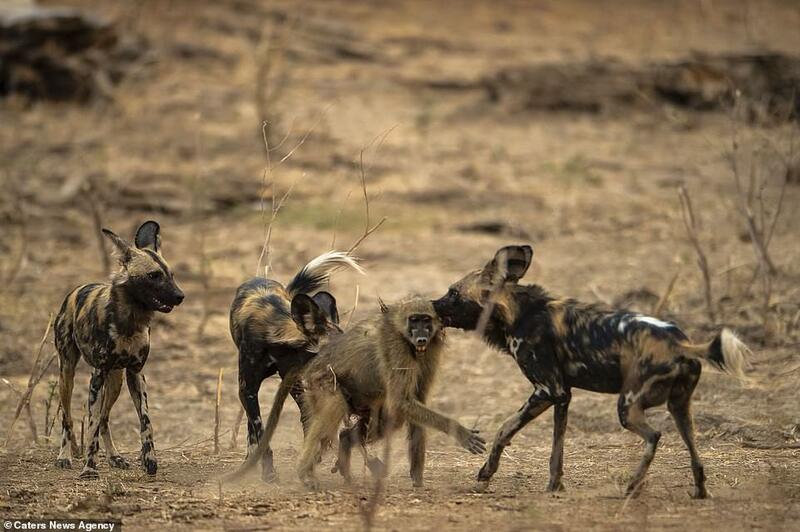 ‘Some people find it disturbing to see painted wolves eat our fellow primates. ‘But it is actually nature rebalancing itself. 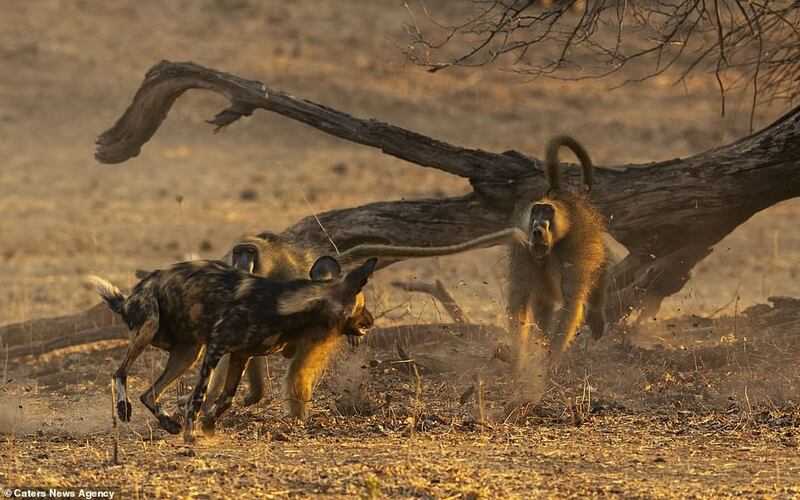 ‘The baboon population was exploding in the area and they were destroying birdlife and damaging the local ecosystem. He added: ‘There are only 6,500 left in the world and in the race to extinction, they are winning. ‘The reality is that these are beautifully social creatures that live in intricate tightly knit family groups that really care for each other. 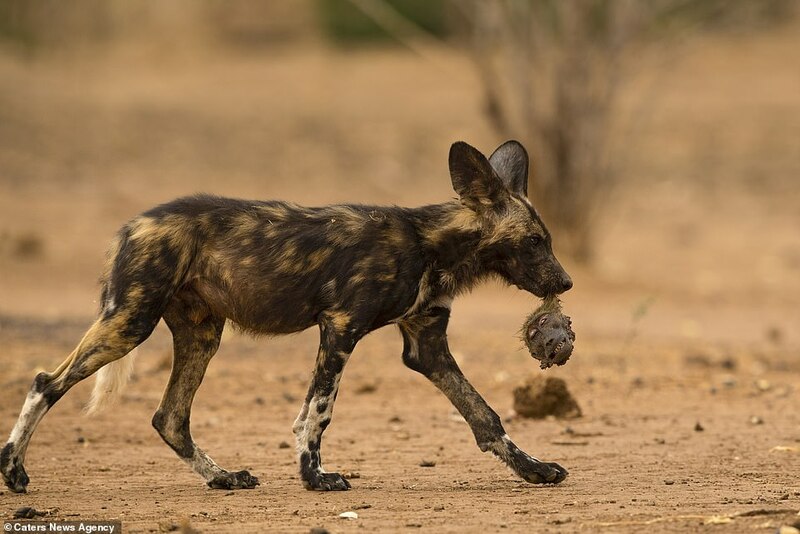 Wild dogs have specially adapted teeth which enable them to rapidly shred carcasses and therefore lessen the chance of having their meals stolen by other predators.